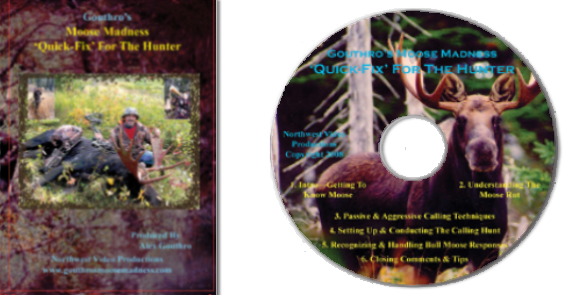 The award-winning single-DVD Gouthro’s Moose Madness ‘Quick-Fix’ For The Hunter, released in 2008, is a fast-paced instructional video containing all of the essentials for the busy hunter who wants to become expert in understanding the moose rut, passive & aggressive moose calling techniques, setting up hunts, and handling bull moose responses. 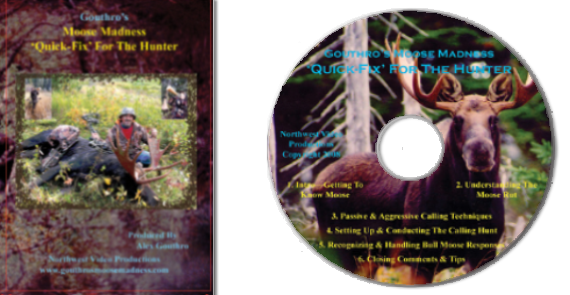 Just under two hours of action-packed instructional video that contains all of the essentials for the moose hunter & caller. Like the Moose Madness Series, instruction is accompanied by exciting live moose video. You get to see it all in action.